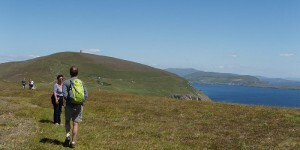 This is a one centre independent walking holiday on the Beara Way Peninsula in west Cork. 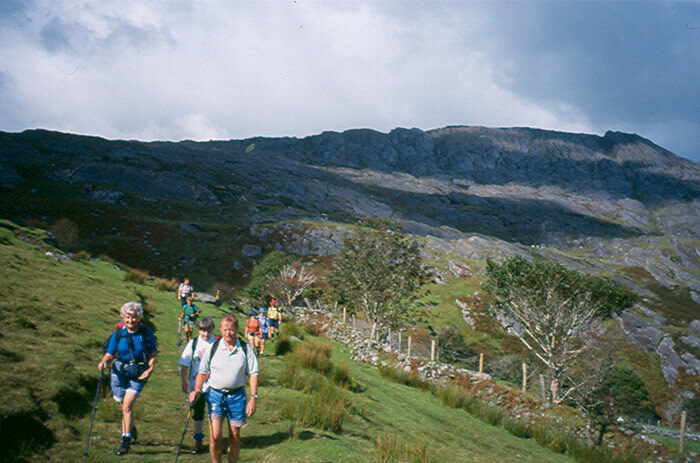 The walks on the Beara Way are very varied with magnificent views of the rugged Beara Peninsula and the Kenmare and Bantry Bays. 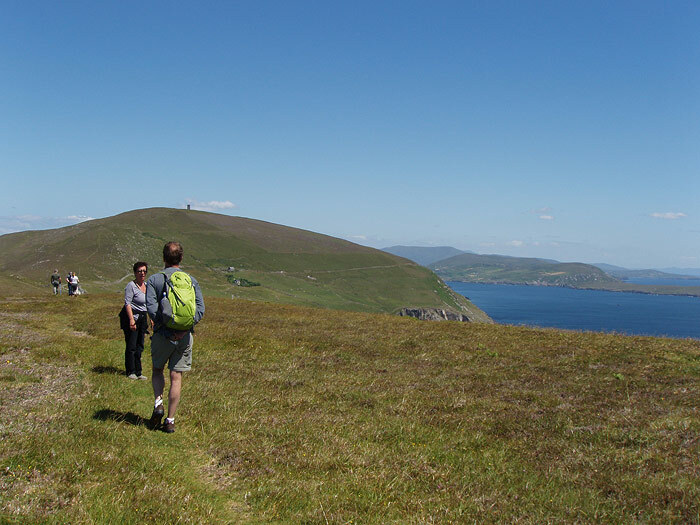 This walking holiday gives you a choice of 2 island walks and the others are along the Beara Way. You are based in the colourful fishing town of Castletownbere which is one of the country’s premier fishing ports. The town has a varied selection of pubs and restaurants, live music and song. For the culturally minded there is an Art Trail around the numerous galleries and studios in the area. Welcome to Castletownbere and your Beara Way self-guided walking holiday Make your own way your B&B for the week. Settle in, explore your surroundings and take time to read your walking pack and notes and maps for your week ahead. In the morning you are dropped out to Park Lough, you then walk back to Castletownbere at your leisure. You walk along bog roads past a megalithic tomb and down into the valley of Ahakista and into Castletownbere. (Get the bus at 09.00 from the town – cable car to Dursey and return bus at 14.30. Not included). The outward route follows a track and path to the end of the island linking a few inhabited farmhouses on the way and the return route is partly along the rugged moorland crest of the island. Dropped to Eyeries and getting bus back at 16.50 from Ardgroom. You walk from the colourful village of Eyeries overlooking The Atlantic. A coastal walk around Coulagh Bay includes sight of the rock known as the Hag of Beara, you end your walk in the delightful village of Ardgroom from where you get the bus back to Castletownbere. This is a short walk around the town of Castletownbere but can be lengthened – You can laze around the town of Castletownbere (haven) or take a gentle stroll or cycle to visit the local castle ruins of Dunboy Castle 3km south – west of the town, which dates back from the 15th century. Puxley Hall is also just a short distance from the castle and was involved in the Copper Mines at Allihies. The general area around Castletownbere and west of there has a very strong archaeological heritage. Shore fishing, golfing and shopping are options. This island offers 2 scenic loops exploring the roads, hills and coast. Perhaps a coastal walk from the pier to Ardnakinna Point lighthouse and up to Coomastooka to enjoy the views over Castletownbere at the cross then follow the Beara Way back to the pier along the Northern Road should satisfy all. Access to the island is by ferry (not included). Accommodation is based on twin sharing basis. 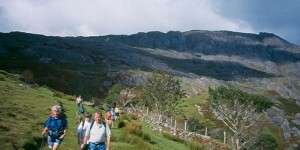 A one centre, self guided walking trip in West Cork. Dates 2019: Any date throughout the year. Walking Grade: 2 boots – Moderate walks of 6-9 miles (10-15km) per day with gradual ascents of up to 900ft (275m). A private minibus by Harrington’s (Tel: +353 27 74003) operates daily from Mulligans Bar, Parnell Place, Cork departing Cork at 18.00 hours and returning in the mornings from Castletownbere at 08.00am.